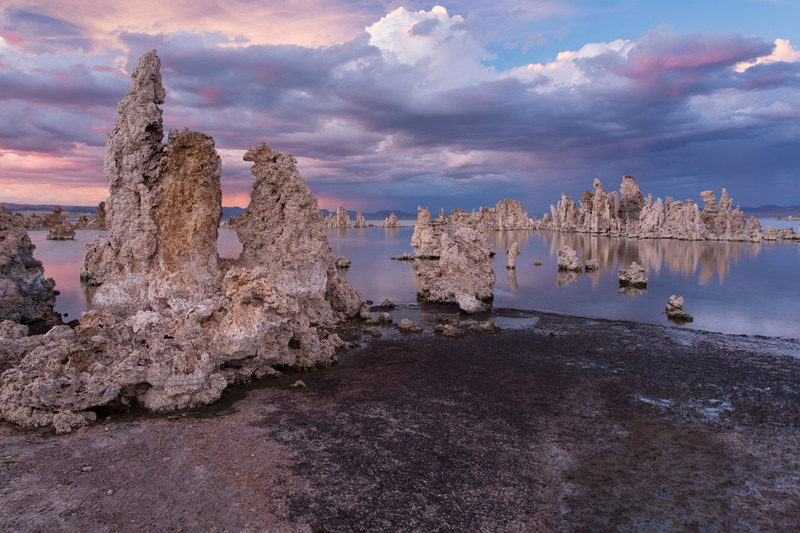 A bit northeast of Yosemite, on the other side of the Sierra Nevada mountain range, lies Mono Lake, California. Many people visit it in combination with Bodie Ghost Town and Yosemite since the three are close together. The lake is known for its high saline concentration and the weird life forms it harbors (e.g., Alkali flies, which are the millions of black dots seen in the foreground of the picture). Large salt deposits called tufas litter the perimeter of the lake. The sunset the night this photo was taken is one of the most vibrant I've seen. An approaching thunderstorm provided the perfect mix of clouds and pink and purple hues. While I ruined the pair of tennis shoes I was wearing due to the smelly, thick muck around the lake's shore, it was worth it to get this shot.